Preview performance added on Jan. 19 at 4 p.m.! Be among the first to see the show, and save up to 35% off regular performance prices. Introducing $10 Tuesdays! Every Tuesday during the run of In the Heights, a minimum of 100 tickets will be available for just $10. These tickets may only be purchased in-person at the Box Office beginning at 6 p.m. on the day of the show. Limit two per person. No advance reservations or choice of seating. 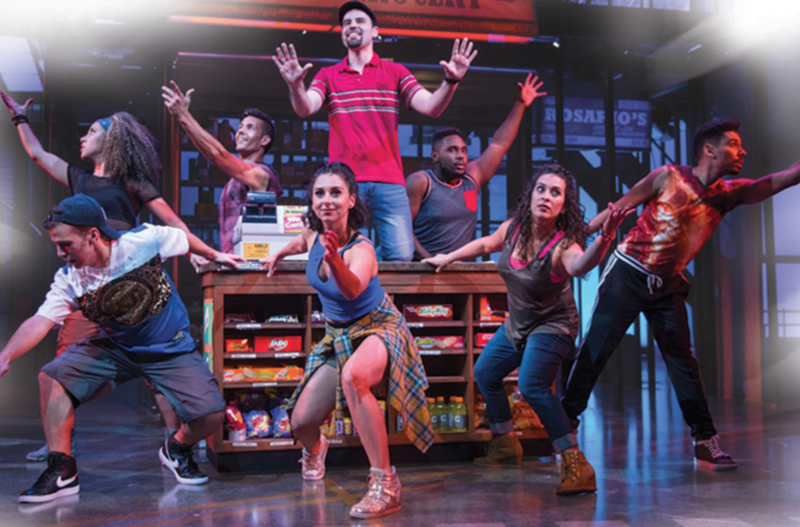 ADVISORY: In the Heights is suitable for adults and teenage audiences. This Tony Award-winning musical is a celebration of community and family, but it also contains some strong adult language and sexual innuendo — often sung in catchy verse. RUNNING TIME: The show runs approximately 2 hours and 26 minutes, including one intermission.